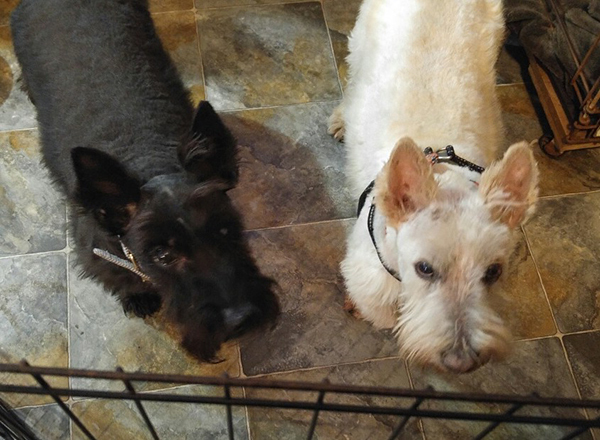 Rescue Success Stories, Winter 2018-9 – Scottish Terrier Club of Greater New York, Inc.
We had to act quickly to get 3 year old Augustus out of a bad situation. 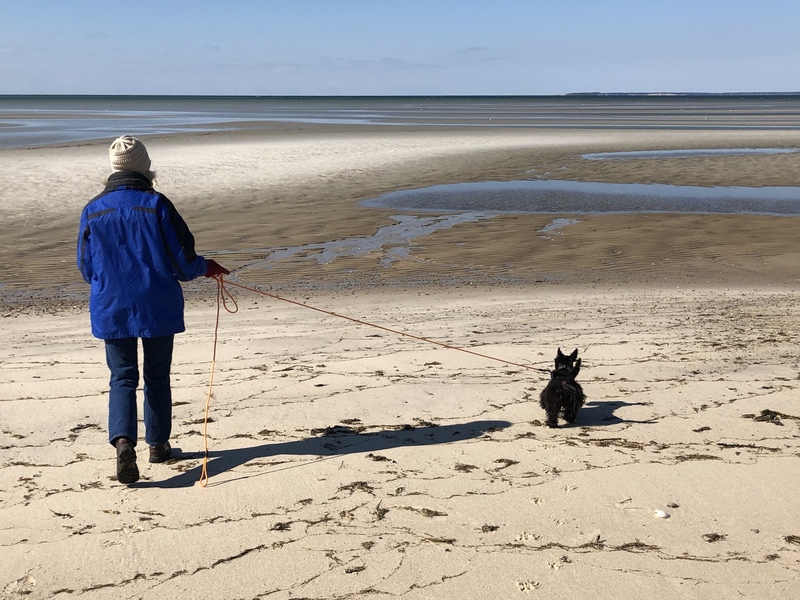 Past adopters/volunteers Jan and Joan from Brewster, MA. answered the call once again to immediately pick him up and transport him to us in New Jersey. He made such a good impression, they couldn’t resist adopting him for themselves! Now he’s living it up in Cape Cod, with his own cozy bed and toys, and his new sister Lily and brother Teddy, who were also STCGNY Rescues! We plucked Jasper from the euthanization list at a large local shelter. He’d been on the street, and was very thin and terrified. He received comfort, love, stability, and health care, for 5 months, and then he was adopted by Mary, a retiree, and her daughter, Elise. If there is a lesson to be learned from this story, it's that they don't always come in looking, feeling or acting good, but give them a chance and they bloom! Don't write them off too fast!!! We pulled Diamond from a NY shelter. She had been brought there sight impaired because she hadn't been treated for dry eye and her corneas had became damaged. Although her sight cannot be fully restored, after months of treatment by our eye specialist, her eyes are healthy! 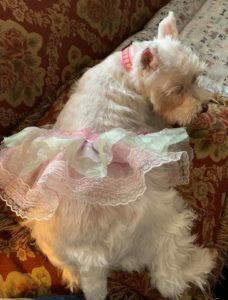 Barbara and Bruce from Maple Heights, OH drove over 16 hours to bring this gem home, where she joins her two new brothers, Seamus and Spencer, who are also STCGNY Rescue alumni. 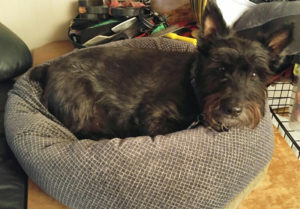 7 year old Danny came to us after losing his family suddenly. 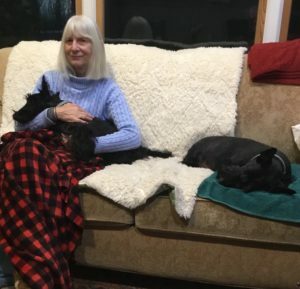 Happily, we paired him with Jean, a past adopter and STCGNY Rescue benefactor in Vestal, NY, We know he is thrilled with his new home, as he is an only dog again, and does not have to share any attention! A high-energy puppy not even a year old, Isabella was turned in to Rescue when her first parents weren’t able to housebreak her. Like most puppies, Izzy needed to have someone at home for consistent supervision. 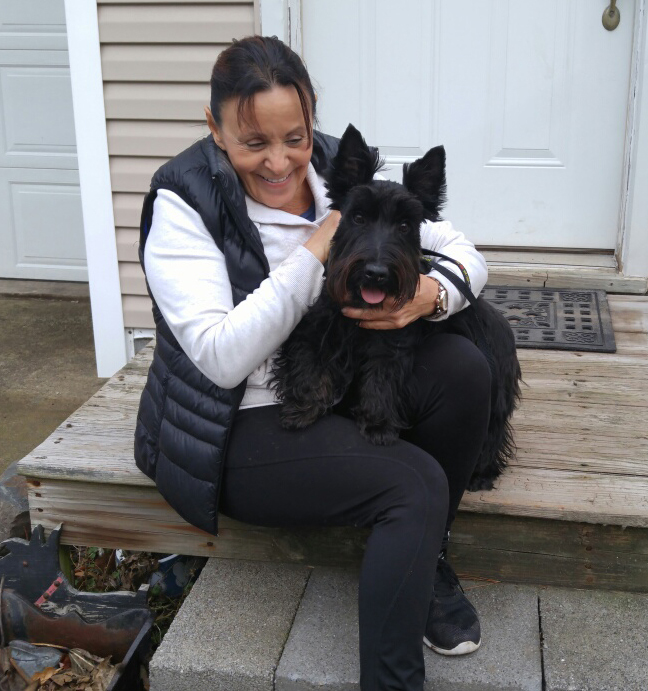 She was adopted by Alicia and Tim from Wall, NJ, where she’ll have an older Scottie brother to learn from and play with in their large, fenced yard! After she’d had a human baby, the mother they’d lived with since they were 12 weeks of age, sent away 11- year old sister and brother, Wednesday and Ferguson, to rescue. Wednesday, who has glaucoma, needs attentive eye care, and we knew they needed to stay together for the rest of their lives. 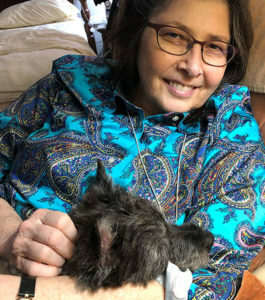 They are so gentle and loving, we were overjoyed to find just the right forever home for them in Goshen, NY with Judith and Reynell! New in 2019... donors names will appear here!